Falls from heights are one of the leading causes of critical injuries and fatalities in Ontario workplaces according to the Ministry of Labour. As a result, beginning April 1, 2015, employers in Ontario must ensure that workers on construction projects who are required to use certain methods of fall protection complete an approved Working at Heights training program. The Occupational Health and Safety Awareness and Training Regulation (O. Reg 297/13) (see our previous posts here) has been amended to provide for mandatory Working at Heights training. These amendments come into force April 1, 2015. However, there is a two-year transition period for certain workers: the Working at Heights training requirements do not apply until April 1, 2017 in respect of a worker who has completed training that meets the requirements of the Construction Projects Regulation (section 26.2 of O. Reg. 213/91) before April 1, 2015. If a worker has not been adequately trained in the use of fall protection systems before April 1, 2015, then the training requirements apply as of April 1, 2015. The Working at Heights training requirements apply in addition to the existing training requirements under the Construction Projects Regulation with respect to fall protection systems. The fall protection systems training under the Construction Projects Regulation requires, among other things, that a worker who may use a fall protection system is adequately trained in its use and given adequate oral and written instructions by a competent person. Workers who work at heights and use fall protection systems at workplaces not covered by the Construction Projects Regulation do not have to complete the Working at Heights training at this time. The Chief Prevention Officer (CPO) has established Working at Heights training standards for training programs and for training providers. Module 1: Working at Heights Basic Theory – covers foundational elements on how to work safely at heights. It must be at least three hours long. Module 2: Working at Heights Practical – provides more advanced information on fall protection systems and includes hands-on demonstration of equipment and procedures. It must be at least three and a half hours long. The Working at Heights Training Provider Standard outlines the requirements for training providers seeking approval by the CPO to deliver an approved training program. What is Required in a Record of Training and How do Workers Get It? According to the Ministry of Labour, an approved training provider is required to provide a worker with proof of training upon successful completion of the training program. The approved training provider must also notify the CPO of a worker’s successful completion of an approved Working at Heights training program. Upon receipt of such notification, the CPO will issue a wallet-sized proof of training card to the worker. A copy of a worker’s proof of training card issued by the CPO is considered a training record. The Ministry of Labour will keep a secure, centralized database of all workers who successfully completed the training (collected by the CPO under the authority of the OHSA). Workers and current or potential employers (with the worker’s consent) will be able to access information about a worker’s successful completion of a Working at Heights training program. For How Long is the Training Valid? The training is valid for three years from the date of successful completion of the training program. According to the Ministry of Labour’s “Frequently Asked Questions”, once a worker’s training is no longer valid, the worker can take an approved half-day “refresher” training program (which covers the contents of Module 2) to renew the validity of his or her training. A worker does not need to retake the Working at Heights training if the worker changes employers during the three-year validity period. An employer should request that new employees provide proof of completion upon hiring. How Can an Employer Find a CPO-Approved Provider? The Ministry of Labour website lists CPO-approved Working at Heights training providers and programs, as well as the dates on which they were approved. 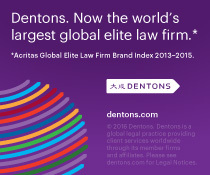 At the time of writing, there are seven CPO-approved providers listed on the website. If an employer wishes to deliver “in-house” training to its workers, it must seek CPO approval to become a training provider. More information on the provider application can be found here. What are the Potential Consequences if an Employer does not Comply? A Ministry of Labour inspector may request that an employer provide copies of records of Working at Heights training for its workers, or a worker provide a copy of his or her CPO-issued proof of training. If an employer has not complied with the mandatory Working at Heights training requirements, an inspector may take enforcement action, including issuing orders requiring an employer to comply, issuing a stop work order where an imminent hazard exists, or prosecuting an employer under the Provincial Offences Act, where appropriate. Keep checking www.occupationalhealthandsafetylaw.com for further updates on this topic. Employers often struggle with the question of who is a “supervisor” under the Ontario Occupational Health and Safety Act. The answer to that question is obviously important because supervisors have legal duties under the OHSA, violations of which can lead to charges and fines. enforce procedures established to protect worker health and safety. The MOL guidance goes on to provide examples as well as summaries of relevant court decisions. Ontario employers, particularly those in safety-sensitive businesses, should familiarize themselves with the guideline, and ensure that all supervisors (1) know that they are “supervisors” under the OHSA, (2) have taken the MOL’s required basic supervisory safety awareness training, (3) are fully aware of their duties under the OHSA, and (4) have received the workplace-specific safety training necessary for them to comply with their duties under the OHSA. The Ontario Ministry of Labour will conduct a safety blitz of industrial workplaces from November 3rd to December 14th, 2014. Although the MOL’s bulletin regarding this blitz does not say it, employers should ensure that all of their health and safety postings are up, and that all workers have received the mandatory health and safety awareness training; inspectors will likely be checking those items. The MOL states that its inspectors will “visit wood and metal fabrication, manufacturing, chemical and plastics and automotive plants and other industrial sector workplaces.” This description includes a large number of workplaces. The inspectors will be checking for machines that are not properly guarded, locked out or blocked. The MOL says that inspectors will also check that workplaces have a strong internal responsibility system in place; that employers are “working to prevent awkward postures and repetitive motions that could lead to musculoskeletal disorders involving injuries and disorders of the muscles, tendons, nerves, joints and spinal discs”; and that workers are protected from exposure to chemicals (such as metalworking fluids and degreasing solvents) that could cause occupational disease. The MOL’s Bulletin on the blitz may be accessed here. The results of a recent Ontario Ministry of Labour safety blitz shows many new small businesses violate basic legal requirements such as posting a copy of the Occupational Health and Safety Act. And non-compliant employers can expect future visits from MOL inspectors. Some of the most common compliance orders issued by MOL inspectors in the blitz were: post a copy of the Occupational Health and Safety Act; prepare a health and safety policy and maintain a program; have a worker health and safety representative; have the health and safety representative conduct monthly inspections; provide “information and instruction” on workplace harassment; and maintain a workplace violence prevention program. The MOL states that inspectors visited workplaces in the industrial sector including retail establishments, restaurants, wood and metal fabrication establishments, industrial services, wholesalers, automotive manufacturers and vehicle sales and service workplaces. The MOL’s enforcement initiative is being repeated in the 2014-2015 fiscal year, with each MOL industrial inspector expected to inspect four to eight small businesses with 50 or fewer workers, which have not been previously registered or inspected by the ministry. The MOL says that this initiative will “increase small business awareness of the workplace parties’ roles and responsibilities under OHSA and its regulations”, “promote awareness and compliance with new mandatory occupational health and safety training for workers and supervisors that came into effect on July 1, 2014”, and “support vulnerable workers by making them aware of their rights under the OHSA and the resources available to help them”. As we have previously advised, employers should, in particular, ensure that they prepare and post all required postings under the OHSA, since doing so will show the MOL inspector that the employer is aware of its basic obligations and has a safety program in place. See here for our article on health and safety posting requirements in Ontario. Employers have less than one month to ensure that their workers and supervisors complete the mandatory “basic occupational health and safety awareness training” by July 1, 2014. This training is mandatory for all workers and supervisors whose workplace is covered by the Occupational Health and Safety Act, regardless of industry. For many employers, the simplest way to comply is to have your workers and supervisors complete the Ministry of Labour’s free e-learning module, print the certificate of completion, and provide the certificate to you before July 1st. Employers can also offer in-person training programs that are tailored to the specific requirements of their workplace, as long as the training meets the minimum content requirements set out in the regulation. If employers are providing in-person training, it may be wise to have the presenter, throughout the presentation, refer employees to the corresponding material in the Ministry of Labour workbooks, in order to ensure that all of the required material is covered. As mentioned in our February 25, 2014 article, a Ministry of Labour inspector has advised us that, immediately after July 1st, inspectors will likely issue a reminder to employers who have not conducted the training by the deadline. Employers who continue to be non-compliant with the regulation will likely receive a compliance order, and in cases of ongoing failure, could be charged and fined. our May 1, 2014 article, which discusses who has to take this training and how employers can continue to ensure that they are compliant with the training requirements after July 1, 2014. We are available to assist employers with complying with this new obligation – by the Canada Day deadline. Keep checking www.occupationalhealthandsafetylaw.com for further updates on this topic, or contact Adrian Miedema or Chelsea Rasmussen. Two months until July 1 safety awareness training deadline: will you be compliant? The July 1, 2014 deadline is quickly approaching. Employers in Ontario have two months to ensure that their workers and supervisors complete “basic occupational health and safety awareness training” before the deadline. Our February 25, 2014 article set out “what you need to do” to comply with this new requirement. Our April 3, 2014 article set out various strategies for employers as to how to provide this training. In this article, we will provide updates and address a number of questions that have recently arisen, including who has to take this training and how employers can continue to ensure that they are compliant with the requirements of this Regulation even after their current workforce is trained. The Ministry of Labour has now released “A Guide to OHSA Requirements for Basic Awareness Training”. It is fairly brief and worth reading. Are directors and officers of a company or charity required to take the supervisor training? The issue of whether directors and officers of a company or charity are considered supervisors is dependent on the particular facts of the situation. If a director or officer has the responsibilities of a supervisor under the Occupational Health and Safety Act in an Ontario workplace (i.e. the person has charge of a workplace or authority over a worker in Ontario), the Ministry of Labour will likely expect the director or officer to complete the supervisor safety awareness training. “Authority over a worker” includes, among other things, the ability to promote and discipline workers, schedule work and grant leaves of absence. If the director or officer is not a “supervisor” under the OHSA, he or she is not required to take the training. Are volunteers with a charity or not-for-profit organization required to take the training? Under the OHSA, a worker is defined in part as “a person who performs work or supplies services for monetary compensation”. As a result, a volunteer is not considered a worker and does not have to take the safety awareness training. We recommend, however, that if a volunteer is doing work that involves any safety risks, you require him or her to take the safety awareness training. Must employers verify that temporary employees sent to them by temporary employment agencies have completed safety awareness training? Yes. Where a worker is employed by a temporary employment agency and sent to another company to perform temporary work assignments, the temporary employment agency and the company both have safety duties under the OHSA. While the temporary employment agency is required to provide the training, the company at which the temporary employee is working is required to confirm that the employee has received the training. Ontario employers should update their hiring checklists and offer letters now. Hiring checklists should include a requirement that a new worker or supervisor provide to the employer proof of having received the safety awareness training. Going forward, employment offer letters / employment contracts should include a condition that a worker or supervisor has completed or will complete the appropriate safety awareness training. Employers should also include, in their standard-form contractor or temporary employment agency agreements, a requirement that the contractor or temporary employment agency not send to the employer any workers who have not completed the training, and that the contractor or temporary employment agency provide proof that its workers have received the training. Employers must ensure they have an up-to-date record of safety awareness training for all workers and supervisors who perform work for the employer (which includes workers and supervisors from contractors and temporary employment agencies) in order to demonstrate compliance in the event the Ministry of Labour inspects the workplace. Some employees with disabilities, language or literacy issues may require accommodation in order to complete their safety awareness training. These employees may need additional time, or for the material to be read aloud or clarified. Some may benefit from the opportunity to ask questions in a one-on-one environment. The Ministry of Labour currently offers the worker and supervisor workbooks, and accompanying employer guides, in English, French, Traditional Chinese, Simplified Chinese, Hindi, Punjabi, Portuguese, Spanish, and Urdu. The Ministry of Labour’s e-learning modules are currently available in English and French; however, its website indicates that the e-learning modules will be available in the seven additional languages in Spring 2014. Please let us know if you would like our assistance in complying with this Regulation, including with slides for face-to-face training and template “proof of completion” certificates for employers to use. Ontario employers have less than three months left to ensure that their workers and supervisors get “basic occupational health and safety awareness training” before the July 1, 2014 deadline. Our February 25, 2014 article set out “what you need to do” to comply with this new requirement. We have been considering various strategies for our clients as to how to provide this training, and have been in touch with the Ministry of Labour. Here are some updates and additional insights for employers to consider. Can you combine the worker and supervisor training into one joint in-person session? There is substantial overlap between the required content of the worker and supervisor training sessions. If your company will be delivering the training face-to-face not using the Ministry’s online e-module, and is considering combining the worker and supervisor training into one session for all employees, ensure that the session covers all of the required content in the Regulation – but also covers the material from the perspective of both workers and supervisors. The new Regulation refers to a basic occupational health and safety awareness training program for workers and a basic occupational health and safety awareness training for supervisors. A Ministry of Labour inspector could argue that “for” means “from the perspective of” or “tailored to”. So if, for instance, in a joint session you present only the supervisor’s perspective on a particular safety topic, an inspector might say that you have not complied with the Regulation’s requirement to provide the training “for” workers. Although the required content for the worker and supervisor training overlap to some extent, you can see from the safety awareness training materials prepared by the Ministry of Labour (see our February 25th article for hyperlinks to those materials) that the Ministry approaches these topics quite differently for workers and supervisors. When delivering the safety awareness training, it is important to ensure that for each topic, workers and supervisors understand the distinction between their respective roles and responsibilities, even if the topic itself – such as “duties and rights of workers under the Act” – is required content in both the worker and supervisor training. If you are going to combine the worker and supervisor sessions into one joint session, the safest approach is to ensure that any combined training session satisfies all of the criteria in the Regulation while articulating the different perspectives, roles and responsibilities of workers and supervisors. This will likely make the joint session longer than worker-only or supervisor-only sessions would be, possibly defeating the benefit of combining the worker and supervisor sessions. Must supervisors also take the worker training? There is some legal debate, based on the wording of the Regulation, as to whether supervisors who complete the supervisor training before July 1st must also complete the worker training. The debate centres around when the Regulation “came into force”, since part of the Regulation came into force on November 14, 2013 and the rest will come into force on July 1, 2014. A Ministry of Labour representative has recently advised us that the Ministry’s position is that July 1, 2014 is the applicable date. (b) the supervisor completed a basic occupational health and safety awareness training program for supervisors that contains the required supervisor contents, before July 1, 2014. As a result, employers should ensure that all supervisors take the supervisor training before July 1st, because if they do, it appears that the Ministry of Labour will not require them to also take the worker training. What about supervisors outside Ontario who supervise workers in Ontario? Where your company has a supervisor outside Ontario – for instance, in Calgary – who supervises a worker in Ontario, the safe approach would be to have the Calgary supervisor complete Ontario’s basic safety awareness training for supervisors. Although, except in very limited circumstances, the Ontario Occupational Health and Safety Act does not apply to supervisors or workers working outside Ontario, a Ministry of Labour inspector could take the position that the OHSA does require an Ontario employer to ensure that any person supervising Ontario workers take the training – even if the supervisor is not located in Ontario. Ontario employers are required to ensure that contractors – who are “workers” under the OHSA – working for the employer have taken the worker safety awareness training. We are suggesting that companies revise their template contractor agreement to include a clause in which the contractor confirms that he or she has completed the training and that he or she will provide proof. If you plan to have your workers and supervisors complete the training through the Ministry of Labour’s online e-learning modules, ensure that your company’s computers have at least Internet Explorer 9 or Chrome 17, or they won’t be able to access the modules. 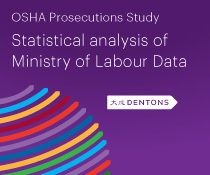 Keep checking www.occupationalhealthandsafetylaw.com for further updates on this topic, or e-mail us at adrian.miedema@dentons.com or chelsea.rasmussen@dentons.com. The clock is ticking. All Ontario employers must provide their workers and supervisors with “basic occupational health and safety awareness training” by July 1st, 2014 or they will be in violation of a new regulation under the Occupational Health and Safety Act. And employers’ in-house safety awareness training provided to workers in the past will likely not meet the new requirements. This is an “if you do nothing, you will be in violation” regulation. All workers and supervisors must be trained – even workers in jobs that are not considered hazardous. There are two types of safety awareness training: worker training and supervisor training, and the government dictates the contents of both. The definition of “worker” under the Occupational Health and Safety Act can include contractors working for the employer. Companies using contractors need to ensure that the contractors have received the safety awareness training. Companies should consider revising their contractor agreement to include a clause requiring the contractor to ensure that all of the contractor’s employees who are supplied to the company have completed the safety awareness training. Every Ontario employer must ensure that their workers and supervisors complete the safety awareness training. The obligation is on the employer, not the employees. What if the Employer Already Provided Safety Orientation? If your company already provided safety awareness training to employees, you are not required to provide the new mandatory safety awareness program – as long as your training program includes all of the content required by the Ministry of Labour. I expect that most employers will want to put all of their employees and supervisors through the new mandatory orientation, using the Ministry of Labour’s training materials, in order to avoid an argument down the road that the employer’s training program did not cover all of the required topics. In particular, the new regulation requires that the worker and supervisor training cover “roles of the ministry, Workplace Safety and Insurance Board (WSIB), and Health and Safety Associations”, but those roles have recently changed, so one expects that most employers will not have covered that topic properly – if at all – in their existing in-house safety awareness program. The deadline for providing the safety awareness training to current employees is July 1, 2014. But for new employees hired after July 1, 2014, the deadline is “as soon as practicable” after they start working. For supervisors appointed to a supervisory position after July 1, 2014, the deadline is one week after starting to perform work as a supervisor. How can the Training be Provided? The training can be provided using the Ministry of Labour’s online “e-learning” modules, or by face-to-face sessions (group or individual) with employees. The e-learning training includes a few short videos, and a number of quiz questions. The Ministry of Labour says that the worker and supervisor e-learning modules each take 45 to 60 minutes to complete. Face-to-face sessions held by the employer can take as long as the employer wishes, but must cover all of the required material. How Long is the Training Valid? The training is valid for the employee’s working career. However, employers have an ongoing obligation, irrespective of this new safety awareness training requirement, to ensure that employees are properly trained at all times to do their job. Employers must maintain a record of the training that is completed by workers and supervisors. If the training is completed using the MOL’s e-learning training module, an employee will receive a certificate that is valid for the remainder of his or her career. The employer must keep proof of the training for up to six months after the worker or supervisor stops performing work for the employer. If a worker or supervisor has previously completed a worker safety awareness training program with a current or former employer that includes the required topics for worker safety awareness training listed above, he or she does not have to take the training again if he or she can provide proof of the training. (b) the supervisor completed a basic occupational health and safety awareness training program for supervisors that contains the required contents listed above, “prior to the Regulation coming into force”. Unfortunately there has been some legal debate and confusion as to whether the date of the “Regulation coming into force”, for the purposes of the above exemption, is November 14, 2013 or July 1, 2014, since parts of the Regulation came into force on each of those dates. The Ministry of Labour has recently advised us that, in its view, the date is July 1, 2014. That appears to mean that where a supervisor was working as a supervisor with the employer prior to July 1, 2014, and completed the supervisor safety awareness training program prior to July 1, 2014, the Ministry of Labour inspectors will not also require that the supervisor complete the worker safety awareness training program. After July 1st, however, that exemption will not be available. If a supervisor has previously completed a supervisor safety awareness training program with a current or former employer that satisfies the required topics for supervisor training listed above, he or she will not have to take the supervisor awareness training again if he or she can provide proof of the training. All Ontario employers should put a plan in place for ensuring that all workers complete the worker training, and all supervisors complete the supervisor training, by July 1st. For office workers, the online e-learning module may be best. For others, the employer should consider holding face-to-face group training sessions with employees. Plan when training will be done: regular work day or on employee’s own time? Set deadline for completing: May 31? A Ministry of Labour inspector recently told me that, immediately after July 1st, inspectors will likely issue a reminder to employers who have not conducted the training by the July 1st deadline. However, employers who still fail to complete the training will likely receive a compliance order, and in cases of ongoing failure, could be charged and fined. Just like failing to post all of the required health and safety materials on your bulletin board (see our article on posting requirements here), a failure to ensure that your workers and supervisors received the safety awareness training by July 1st may be a “red flag” for inspectors that your company is not on top of its safety obligations. Keep a file with all of the completion certificates handy, so you can quickly show the MOL inspector that all employees have been trained. This Seems Complicated. What is the Simplest Way to Comply? For many employers, the simplest way to comply is to send all employees and supervisors an e-mail with a link to the MOL modules and require them to complete the e-learning module, print off the completion certificate, and provide the certificate to you before July 1st. The new regulation, which sets out the mandatory safety awareness training requirement, can be accessed here. Worker safety orientation is expected to become mandatory in Ontario on January 1, 2014, as we have previously advised. The Ontario Ministry of Labour is developing an e-learning module that workers and supervisors can take to complete the orientation, and has now made available printed copies of its worker safety orientation materials. The worker materials are called “Worker Health and Safety Awareness in 4 Steps”, and an accompanying employer guide is available. Printed copies can be ordered by going to www.publications.service ontario.ca and searching for “worker awareness”. The MOL says that the supervisor materials, called “Supervisor Health and Safety Awareness in 5 Steps”, and the accompanying employer guide, will be available in printed form soon. Also, the MOL says that the e-learning program will be available later this Spring. According to the MOL, “learners will be able to access modules on the ministry’s website and print a certificate of completion once they complete the online awareness training.” The e-learning module will, hopefully, make it relatively easier for employers to comply with their new obligation, as of January 1, 2014, to ensure that all workers and supervisors have received the mandatory safety orientation. Workers and supervisors may simply go to the MOL website, take the orientation through the e-learning module, print the completion certificate, and give it to their employer. For more information on the new mandatory training obligations, see our previous post here. Ontario employers will have until January 1, 2014 to ensure that all current workers and supervisors have received new mandatory safety awareness training, the Ontario government has proposed. The government intends to file a regulation on or before July 1, 2013 making the training mandatory and imposing the January 1, 2014 deadline. The Ontario Ministry of Labour says, on its website, that the training will be mandatory for all workplaces currently covered by the Occupational Health and Safety Act, regardless of sector, including industrial establishments, construction projects, health care and residential facilities, mines and mining plants, and farming operations. The requirement even extends to office employees and others thought to be in low-safety-risk jobs. The regulation will also require that any new employees receive the worker training as soon as practicable after commencing work duties, and that new supervisors complete the supervisory safety awareness training within the first week of commencing supervisory duties. New employees or supervisors who can prove that they received the safety awareness training at a previous employer will not be required to retake that training. The MOL has finalized and released worker safety awareness training materials that employers can use. The materials include a worker workbook, “Worker Health and Safety Awareness in 4 Steps“, and an employer guide to that workbook. Employers who train workers using the MOL materials will automatically comply with the new mandatory safety awareness training requirement. Note that the new requirement is for basic safety awareness training only; employers will, depending on the employee’s job, also be required to provide additional safety training, developed by the employer, tailored to the job. The MOL’s supervisor safety awareness training materials have not yet been finalized. A version of the supervisor training materials is being piloted, along with an employer guide to the supervisor training program. The final version should be released shortly. Although many employers will have already provided safety awareness training to workers and supervisors, if that training did not include all of the above topics and was not “equivalent” to the training program developed by the MOL, then the training will not meet the new legal requirement. Employers who do not comply with the new training requirements by January 1, 2014 could be ordered by an MOL inspector to comply – meaning, they will have to scramble to complete the training in short order – or, in a worst-case scenario, they could be charged and fined. -decide how the training will be provided: in person, by webinar, etc. -review your existing training documentation: are you able to prove that your employees have received the training that you have already done? The new requirement of safety awareness training is a sweeping requirement that all Ontario employers must be aware of. MOL inspectors who visit an employer’s workplace in 2013 may ask whether the employer is making progress towards completing the training. In 2014, inspectors will want to see proof that the training has been completed. The pilot version of the employee workbook is available here, and an employers guide to worker safety awareness training is available here. In a May 2012 post, we had discussed the Ministry’s announcement that it intends to introduce a regulation that would require Ontario employers to provide mandatory safety awareness training to all workers and supervisors, using Ministry-developed materials or equivalent materials. The Ministry states, on its website, that “For a worker awareness program to be mandatory, a regulation will be required and as such, stakeholders will be consulted in the fall on the regulatory proposal.” One expects that, due to the sweeping nature of the new safety awareness training obligations, the Ministry will provide substantial lead time to employers to provide the safety awareness training to workers and supervisors. The Ministry notes that “some employers may already provide their workers with the information covered in this program”, and that those employers’ programs may meet the new requirements. The Ministry says that it intends to introduce an “equivalency guideline” to allow employers to determine whether their existing safety awareness programs meet the new requirements. Employers should review the new “pilot” worker and supervisor training materials and begin thinking about whether the employer already provides equivalent safety awareness training, and if not, how the employer intends to meet the new training requirements.